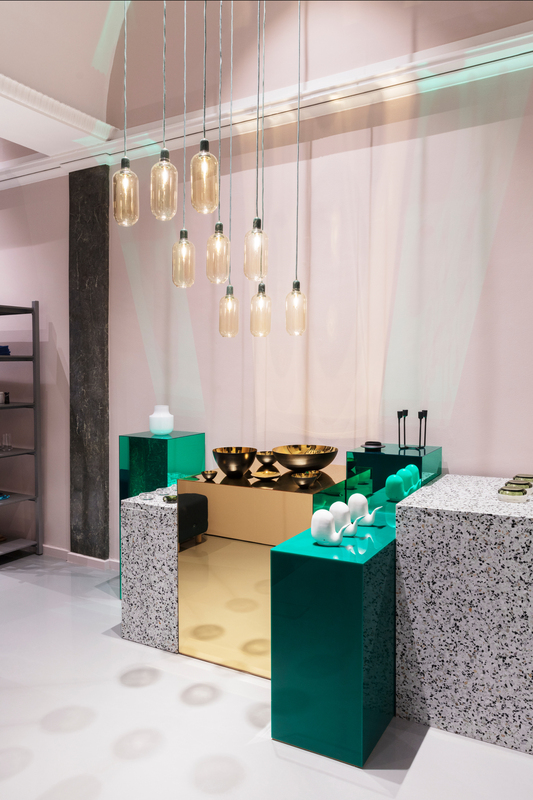 Normann Copenhagen holds onto their gallery-style showroom concept, and shortly after the relaunch of the shop on Østerbro, the premises have once again been transformed completely. 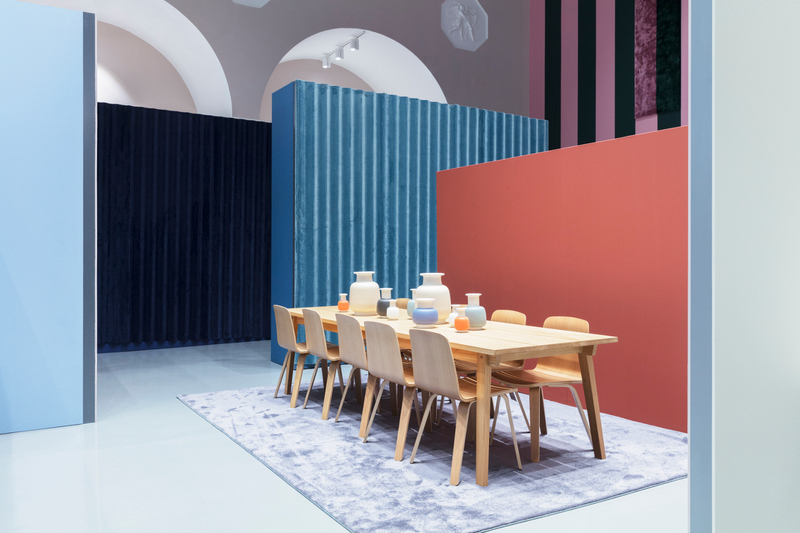 Under the headline 'Discovering Spaces', Normann Copenhagen presents a new theatrical exhibition that challenges notions of how a furniture shop should look. 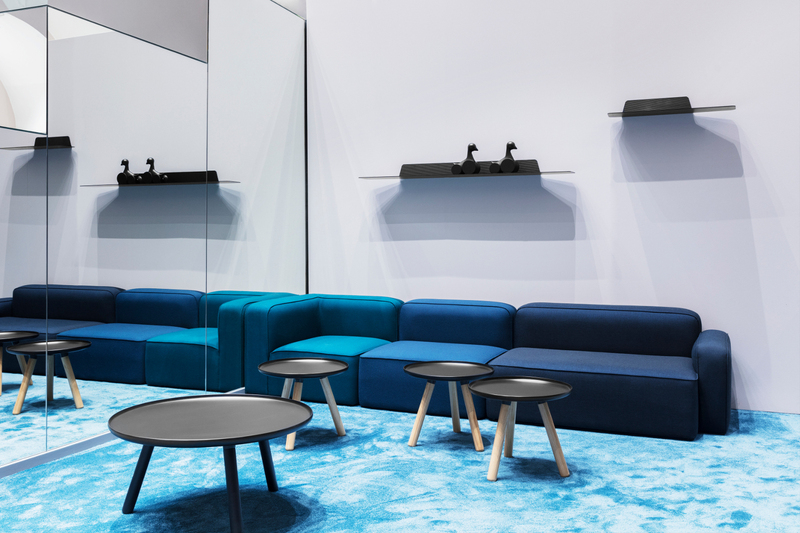 In September 2016 Normann Copenhagen relaunched its flagship store and presented a new concept where furniture and accessories were curated in changing, experimental exhibitions. 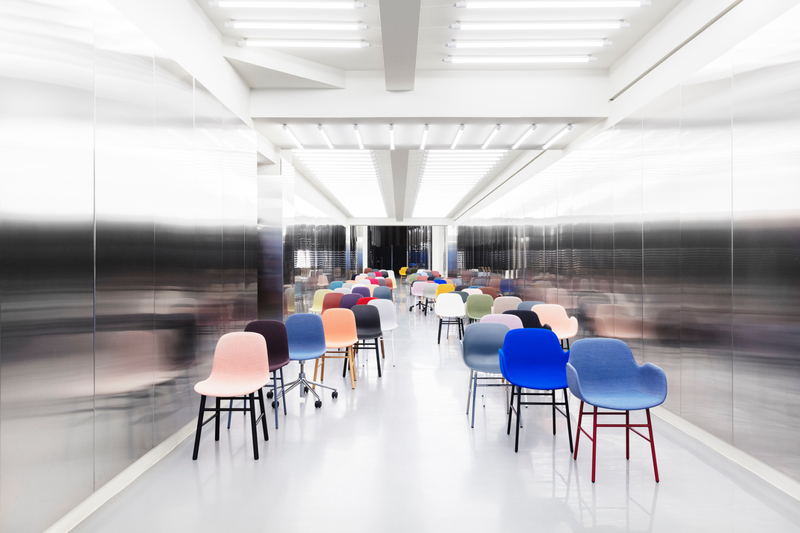 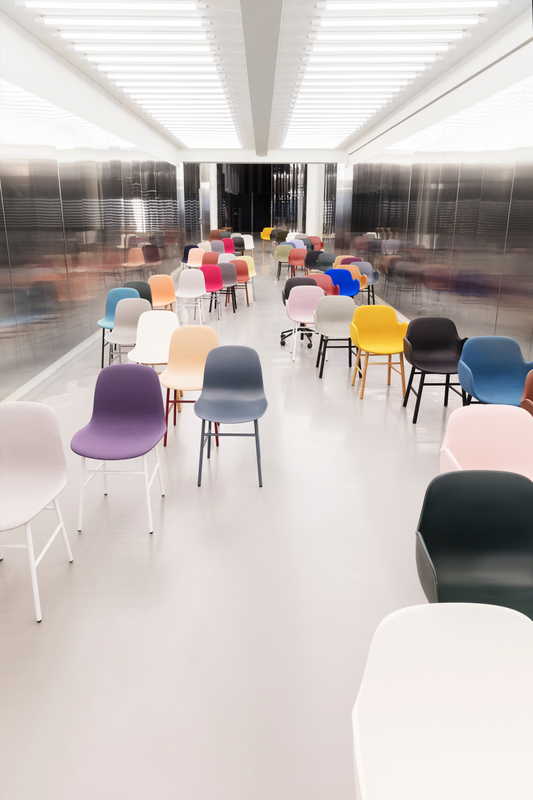 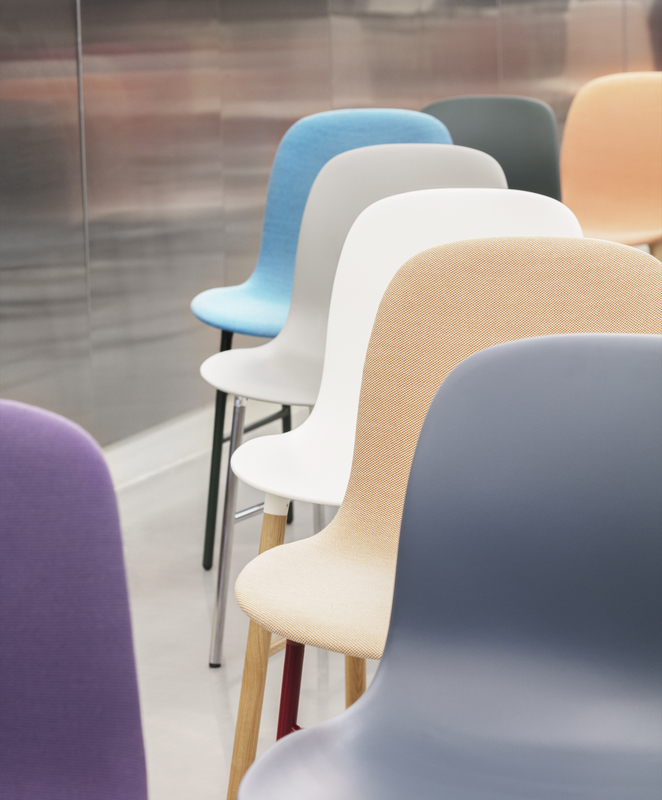 That the Normann Copenhagen-showroom is different than most is emphasized by the second major exhibition 'Discovering Spaces', that can be seen from Friday, March 10. 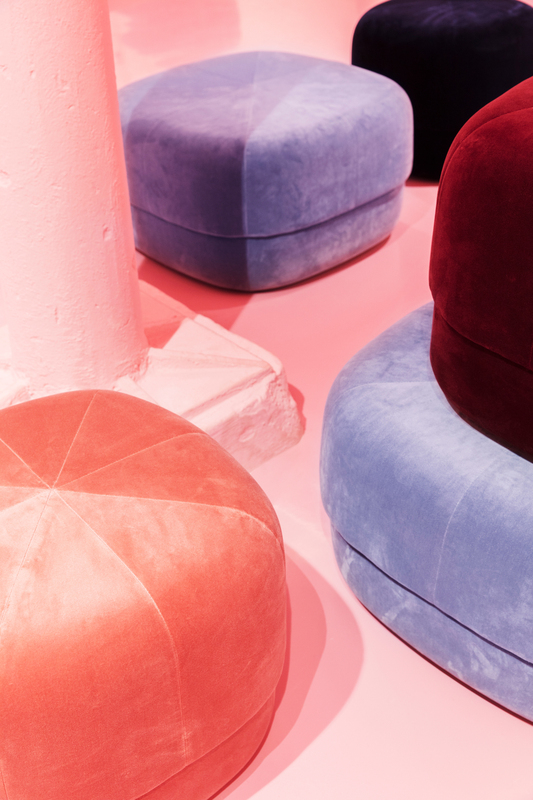 With the experience of space and materiality as the focal point, this new exhibition explores playful and unconventional ways to stage design. 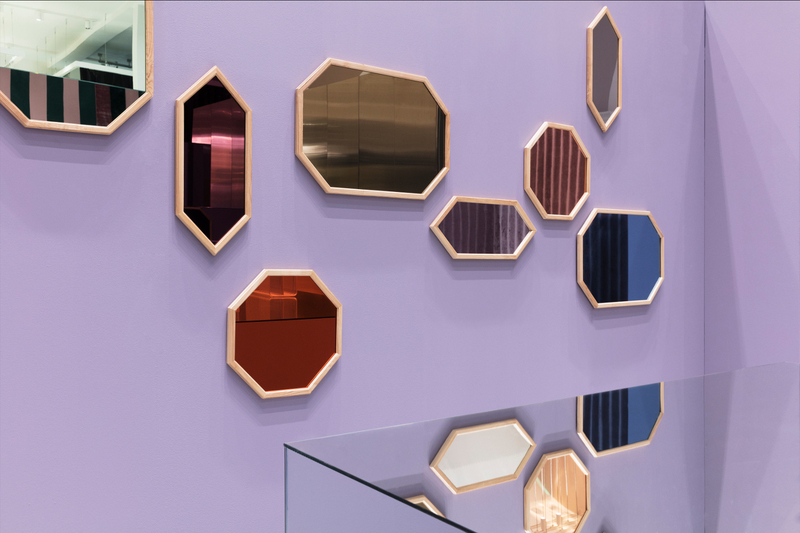 Textures popping up in surprising contexts, while intricate hallways and rooms in rooms encourages visitors to curiously explore a colorful and imaginative universe. 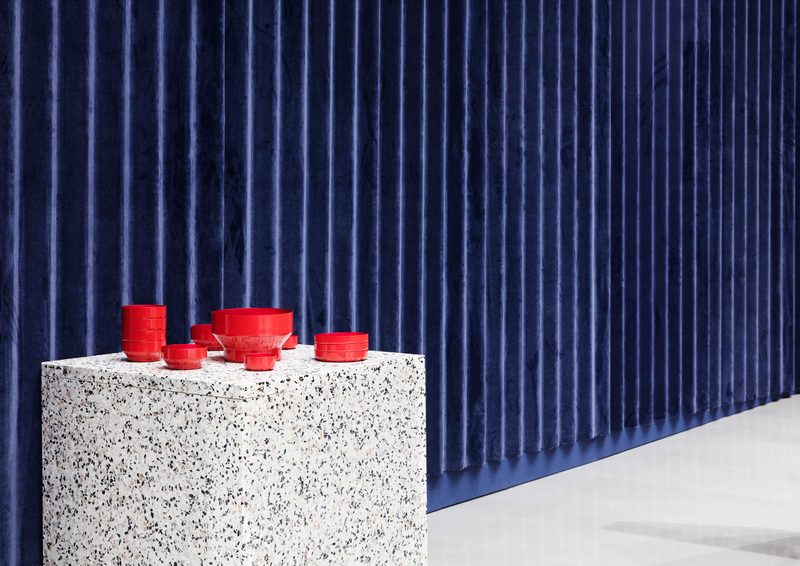 The texture and tactility is in focus when Normann Copenhagen opens its doors to the new exhibition. 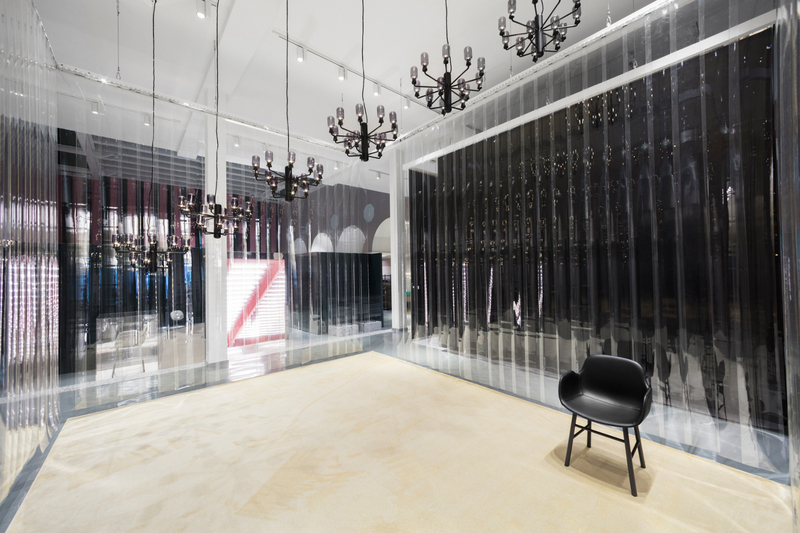 The characteristic long entryway is filled with a jumble of chairs from furniture collection Form. 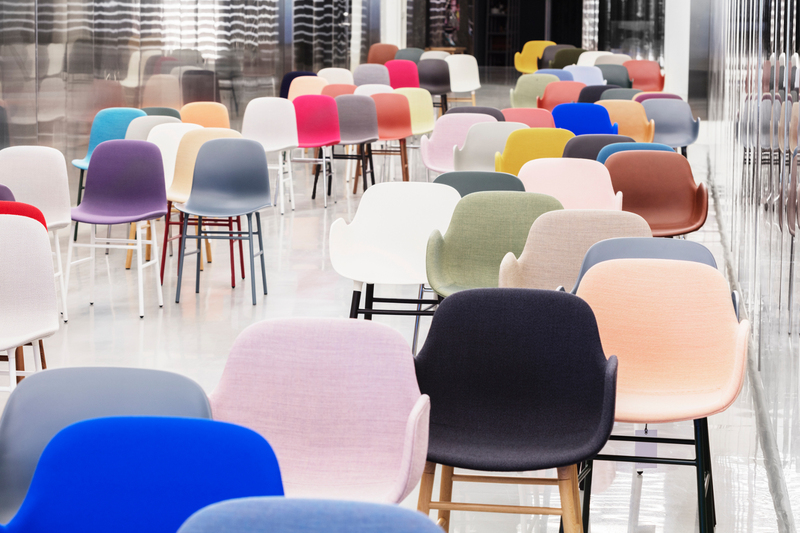 Different combinations of fabrics and frames form a compelling multi-colored furniture forest and serves as inspiration catalogue for the more than 65,000 possible combinations that the chairs can be custumized in. 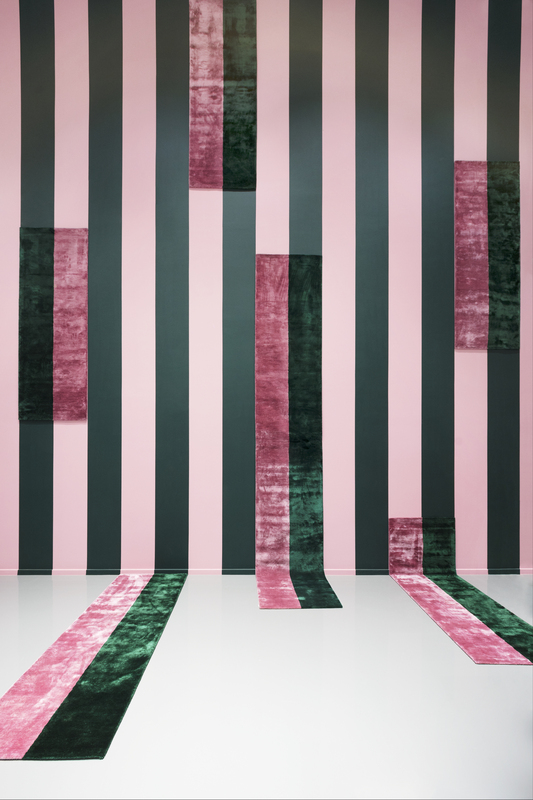 The largest wall in the showroom has been clad in stripes, and from the wall grows soft, striped carpets. 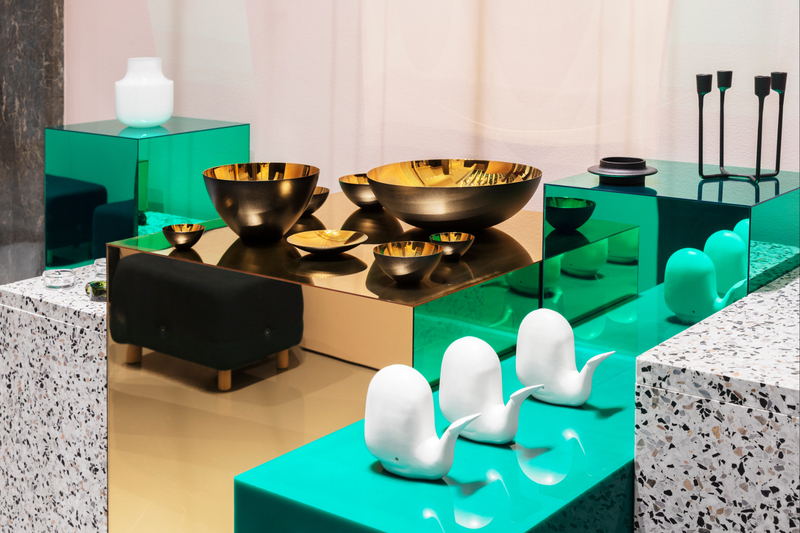 Colourful fashion from Scandinavian designers adds to the color universe of furniture and accessories, which is presented on a background of velvet, mirrored glass and terrazzo. 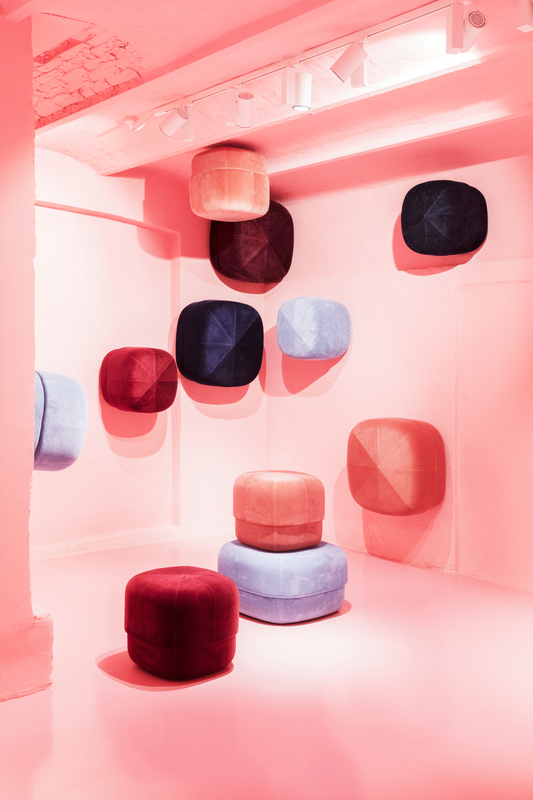 In the pink gallery on the lower floor, the popular Circus ottoman has spread like a wild, organic growth of oversized mushrooms. 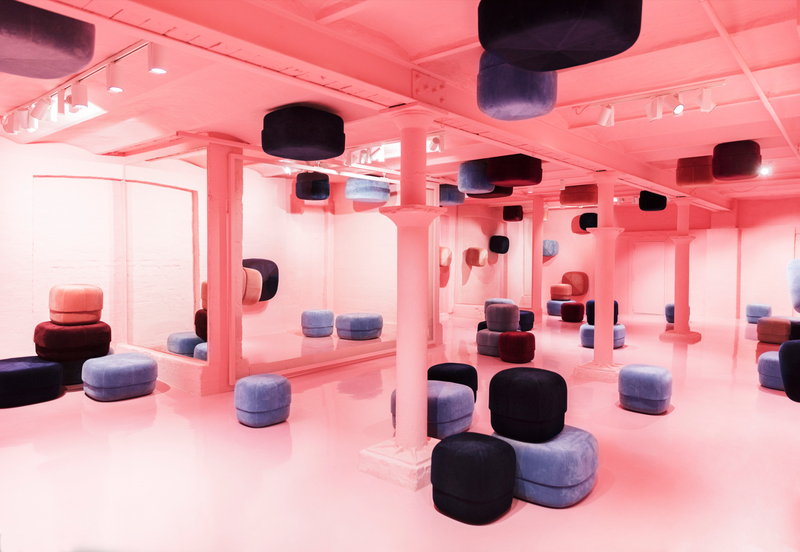 Through the exhibition is a playful alternation between what is seen and not seen. 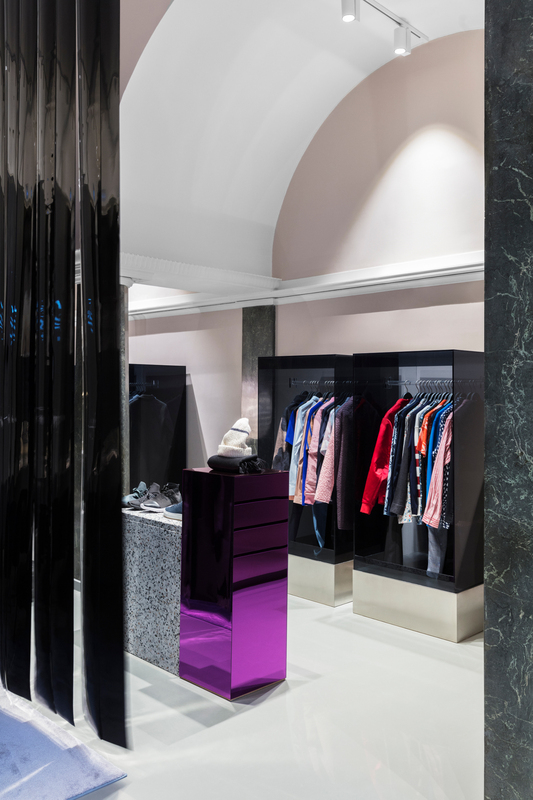 From the bright spotlight to hidden exhibitions, waiting to be discovered and explored. 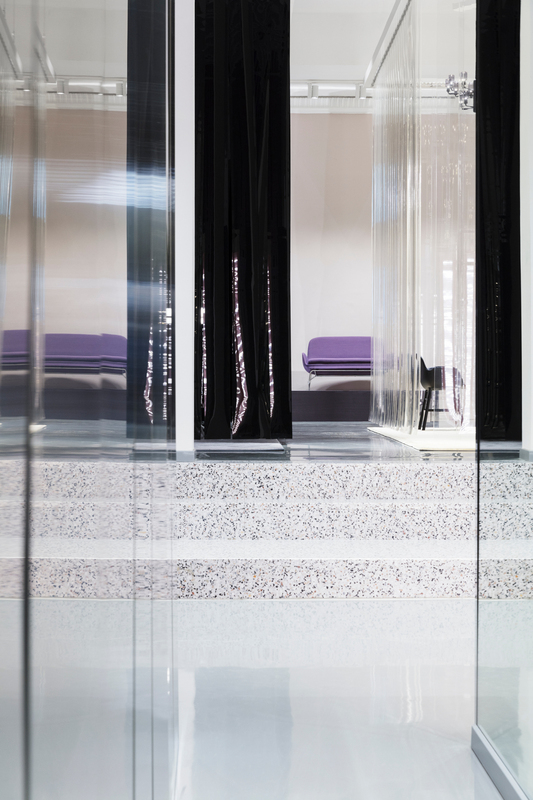 Raw butcher curtains create space in the room, and visitors must pass the semi-transparent plastic slats to experience the exhibition spaces to the fullest. 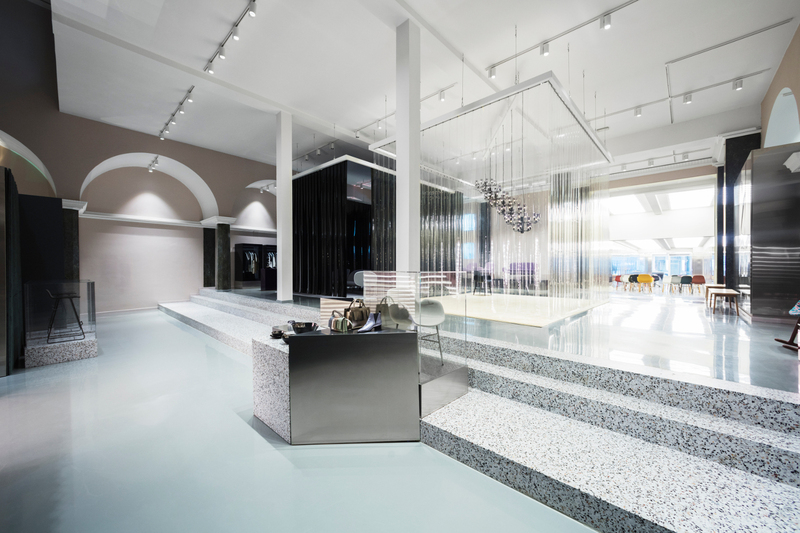 The game continues in the big maze, which has taken over in the old cinema. 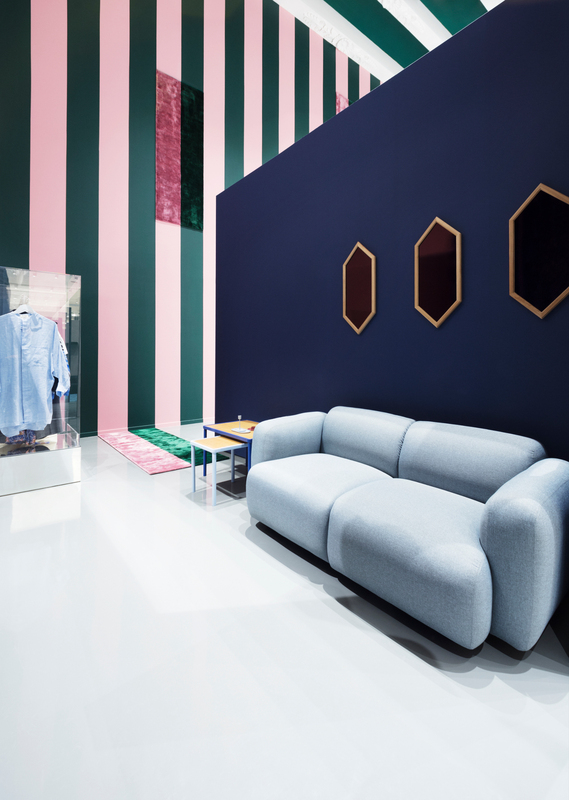 The visitor moves through exhibitions in deep green, blue and purple with furniture and accessories in tone on tone shades. 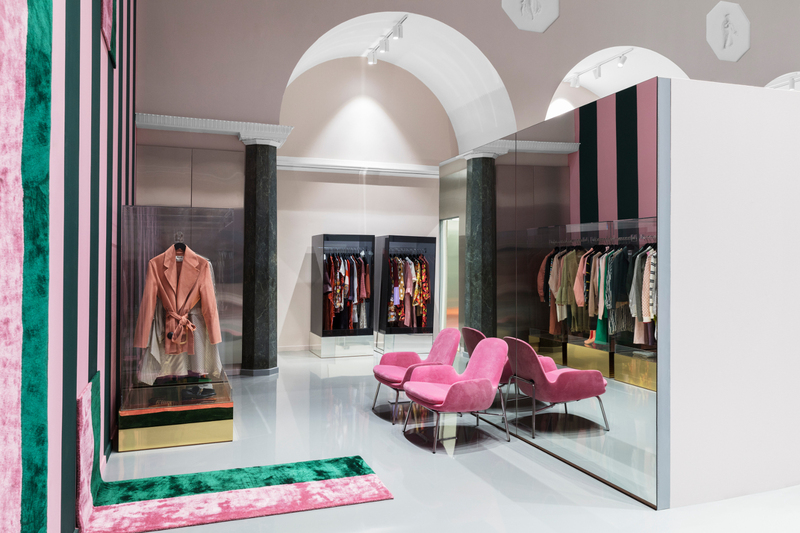 At each turn a corner introduces new and unexpected elements; chairs with gold-thread-woven birds, a mirror cabinet and a pompous impasse are just some of the things the maze hides.